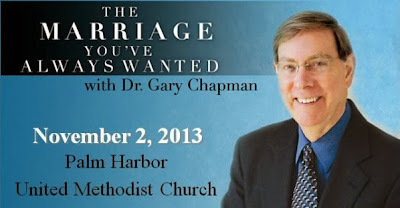 Stories Of A Happy Mom: "The Marriage You've Always Wanted"
"The Marriage You've Always Wanted"
This past weekend, Iggy and I attended a marriage conference with Dr. Gary Chapman. The conference is called "The Marriage You've Always Wanted" and it is designed for married (or engaged) couples, who are looking to make the best of their relationship, by understanding how to love one another and how to always give the best to their marriage experience. If you're interested to know, the cost of the conference is $100 per couple with lunch included. So.. back to the conference.. what a great experience.. I am so blessed to have been able to experience this amazing speaker alongside my dear husband; I believe every couple should attend a similar event in their lifetime. This conference reminded me just how important it is to fully invest oneself in marriage and how important it is to keep God in the center of every relationship. 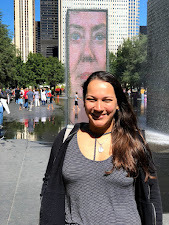 The conference was also a great opportunity to bond with my husband and share thoughts and ideas about the way we love each other, what our expectations are, what are the areas of improvement and so on... I wish we could do it all over again.. that's how much we loved it. Not only was Dr. Chapman very knowledgeable but also very funny, kind and accessible to all attendees. Thank you, God (and Dr. Chapman) for this unforgettable experience! Thanksgiving with a "Latin twist"